I write a lot about endurance, trials, and the Atonement. It seems that is something I'm always coming back to. My staff seems to shatter again and again. At times, I feel confident thriving on basic needs like a true warrior and then just as quickly coming to my knees with kryptonite. Recently, I've been having the most difficult trial I could have ever imagined--taking me to dark places within myself that I thought I had left behind me ages ago. I've tried to fill my time with as many distractions as I can. One of them, was blowing the dust off this blog I haven't touched in months. I started reworking the design, working on the podcast, and reorganizing the posts. Since reworking the labels system I started relabeling the posts that have been written. Because of that, I read a few blog posts and realized a purpose in them that I didn't see before. A lot of counsel is given for us to write in our journals and keep records of sorts. I add my testimony to this in that I've been blessed by keeping a journal. I would also like to add something else though. Don't just write in your journal. Take time to read your journal as well. It was like I started speaking to myself and giving myself the faith and strength I've needed. This blog has been a journal for me. Reading the blog posts I have written has been like a letter to me reminding me that everything is going to be okay. It hasn't taken away the trial. I still have to endure but reading has brought me new strength and insight. There's a reason why our prophets and general authorities counsel us to write in our journals. It's not just for the future generations before us. Our journals are also for us. They help us build a relationship with ourselves. My journal has helped me see my faults and is a record of my growth. Today, there are many ways to record our thoughts and experiences. Blogging is just one of many different ways to write down what your challenges are, what your fears are, share in laughs, share in tears, and tell your secrets. It doesn’t have to be public either. The sharing part could simply be just with yourself. My journal has also helped me accept myself. 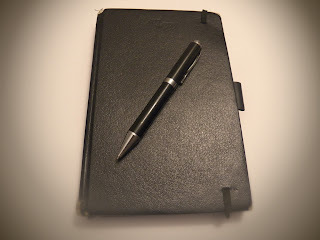 I remember when I came off my mission I bought a journal with a dark black cover. I wanted this journal to be authentic and contain all of my authentic thoughts and feelings--even the painful or ugly ones. Reading through that journal I've seen all of my faults and weaknesses. I've also seen a lot of the good things about me too. Seeing me for who I am has helped me accept me. And having accepted myself allows me to feel the most true joy when I'm accepted by others. Take time for you and write. These blog posts aren't all that long and don't have to be. If you pick up a blog or blow the dust off your journal to write don't feel you have to write a lot. Just write what you need to. I know that when and if you do that you'll be glad that you did. You'll find some release and find strength from your Heavenly Father. I have a favor to ask the world this year: This Sunday I want at one point everyone to put the pastel Easter clothes, the bunnies, the candy, the toys, and all the eggs aside and think for just a minute about what this holiday is all about. Yeah, I know it’s not as commercial as Christmas, but it’s certainly receiving it’s fair share of clutter, isn’t it? As a kid I enjoyed Easter, because it meant in the middle of spring I got a second Christmas, usually full of stuff I can use during the summer. One year, all the plastic eggs were full of fishing gear and we took the boat out soon after. It was a ton of fun, so I don’t want to say that I don’t respect the whole celebration, but I find that with Easter too much emphasis starts being put on all the nonsense that isn’t important. Does it really matter that all the kids wear matching Sunday outfits? Is anyone killing themselves over building the perfect Easter basket? I guess a lot of my comments are directed at parents, and to them I have a question: Do your children really understand what Easter is all about? 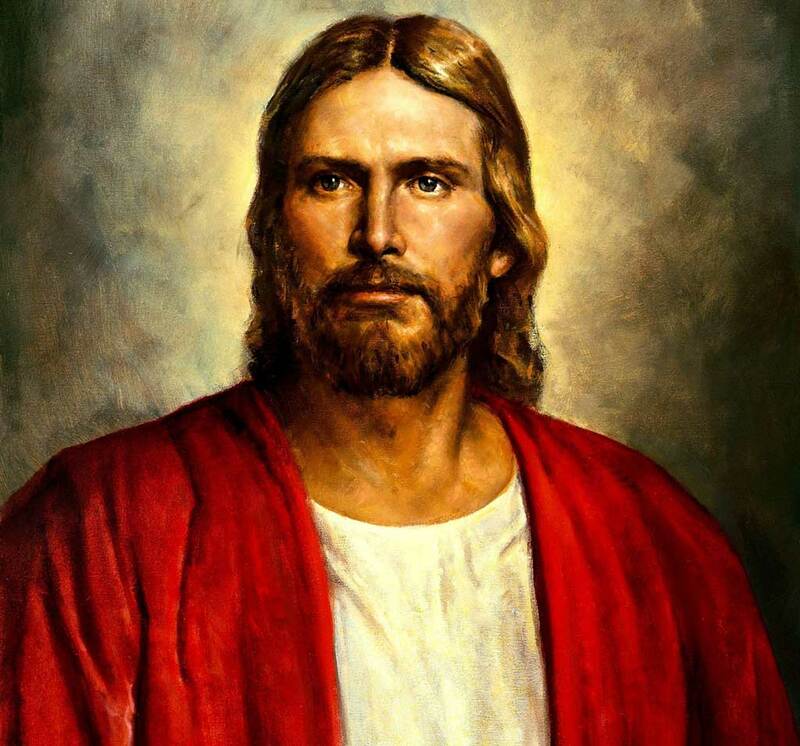 It’s not a common practice in LDS homes to keep a lot of images of the crucifixion around in public view, normally walls are adorned with temples or that one picture of the Savior in the red robe looking over your left shoulder, and I’m not a critic of that, but among all the candy and bunnies do they really understand what happened? Let me give you some context as to why we have an Easter bunny: Once upon a time the Christians were moving en masse north into Europe where they encountered what is today called Pagan. This included Druids, Wiccans (witches) and people believing in the Norse mythology. In an effort to try and combine cultures the Christians combined many of their holidays with the Pagans, including Easter and Christmas, figuring that peace was a better alternative to war. They eventually did declare war and burned anyone who tried to keep their non-Christian beliefs, but that’s a different story. What we ended up with though was Easter, Christmas, Halloween and a few smaller holidays woven in for the fun of it. 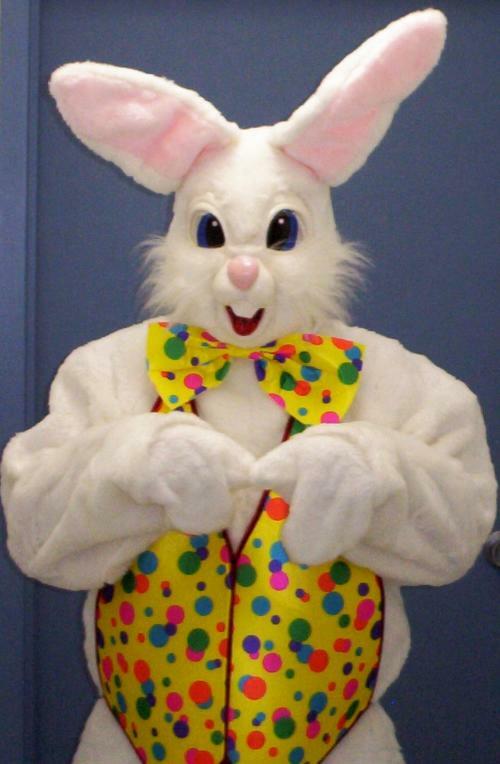 Now no, I’m not saying that if your kid believes in the Easter Bunny that it’s somehow evil and needs to stop, for heaven’s sake it’s fun for everyone involved. What I am saying is to remember the reason for the season. Make sure that Easter is more about Christ than bunnies and candy, because if not it’s just another day with candy and toys. For the adults I ask the same thing: Remember what Easter is really about. For me it’s a good time to remember things like the temple, and what the rituals performed inside mean to me, or the sacrament, our way to renew our covenants in a way that symbolizes a dinner that started the first Easter. There’s a time to have fun and a time for quiet reverence, and Easter can have both as long as the reverence is shown with a higher level than watching Peeps melt in the microwave. 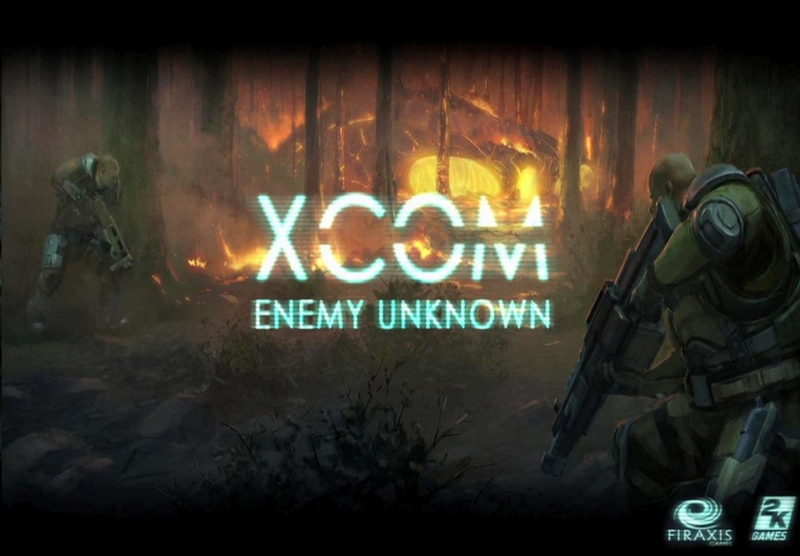 XCOM: Enemy Unknown (released in October of 2012) is a re-imaging of a 1994 game called UFO: Enemy Unknown. I would describe the game as a turn based tactical game with some RPG elements. This post will contain some minor spoilers, you have been warned! The setting is in the near future. Many of the world's nations have banded together (called the Council of Nations collectively) to create an organization called XCOM: the best of their military, engineering, and scientific research. The player takes on the roll of the Commander of XCOM. At one point, aliens begin to land UFOs and abduct humans. XCOM is activated to fend off the threat. Plot wise, the game starts out incredibly awesome. The people don't know what's going on. The enemy has way more powerful weaponry. The lead scientist is continually fascinated by the alien's behavior and technology. At one point, the game starts to put in a plot that supposedly explains what is driving the aliens to attack and kidnap humans. Sadly, the voice that explains most of it is so garbled, I probably missed most of the plot. Also, the plot felt a bit 'thrown together'. The last scene did make me cry. Difficulty: Even on the 'regular' or Normal difficulty, the game was dangerous. The tutorial mission starts out by not pulling any punches. I had several squad mates that died over the course of the game (I did a lot of 'save scumming' to avoid losing key people). Part of the difficulty was training up the soldiers. In a true RPG sense, they had to score a kill to get XP (I'm not entirely certain on that point). I found it frustrating because some soldiers would do other useful things like weaken the enemy or heal their comrades. Shouldn't they get XP for that too? The other is balancing resources like money and alien technology. I tended to run out of money very rapidly. However, at the end of the game, I had more money than I knew what to do with, and not enough of the alien technology. I felt like at one point, the difficulty tended to drop off. Sure, there were super powerful opponents that could still obliterate my squad if I wasn't careful, but most of the other enemies would die rather quickly from awesome shots by my snipers. Customizability: The soldiers names and features can be customized. I gave one of my soldiers the last name of 'Panic' after she panicked on her first mission (I don't blame her, the soldier next to her died in one hit). Turns out, she became my best sniper, got the code name of 'Echo', and was with me till the very end. I was rather sad that the customization was limited. All of the soldier's bodies looked exactly the same. I wondered if how XCOM got more soldiers was to activate some kind of bizarre copier that could create people. Replayability: Honestly, I don't think I would replay this game. I could replay it on a higher difficulty, or add a number of 'options' that make the game more difficult. I felt like the game was way too short. I got the highest level of technology and kept waiting for another 'tier' to use. It never came. I was disappointed. Overall: XCOM was a very well made game. I was satisfied with the visuals, the sound, and the music. The voice acting was cool, and at times quite eerie. However, the game was so short, I don't think it was worth the price tag that I paid for it. I probably would have paid about $20 to $30 for the game. If you're into tactical turn based games that are light on the RPG elements, then I would recommend this game. Day 5 on vacation: We were tired, sore, sunburned, and having the time of our lives. 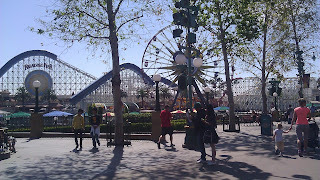 We decided to check out Disney’s California Adventure, and if I was stunned by the beauty of Disneyland this place floored me. Being both a movie nut and a fan of any time before I was born, the old Hollywood look of the place just melted my heart. The streets looked just as I imagined they did when Clark Gable and Marilyn Monroe walked down them, maybe without Goofy, but still pretty amazing. We hit the animation studios department and I got a drawing lesson by a real Disney artist! I’ve drawn the Cheshire Cat before, but it was still cool. We also got to watch an animated Crush from Finding Nemo answer kids questions in a display of animation I’d never thought possible. After that the day was peppered with more rides, character encounters, and shopping (This was my souvenir day). Katie and I caught a stage performance of Aladdin, which was pretty spectacular, especially when the glowing camels came out and started eating audience members. Once again we kept running into fantastic street performances that we just loved, including a 40’s song and dance show featuring Minnie Mouse. I hope people appreciate these things as much as I do, I’d hate to think of Disneyland turning into all rides just because people need digital media just to survive. It was a magical day. 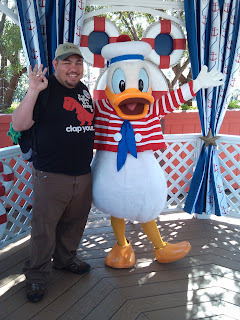 Katie and I got lost along the boardwalk searching for Cars Land and ran into Donald Duck who was a big fan of my tee shirt. We rode a Little Mermaid ride, ate churros, and made our way to the land of talking cars, which was pretty impressive since it made us feel like we had stepped into the movie! Bugs Life land was the same way, but I didn’t like Bugs Life that much so it was cool but a lot of the effect was kind of wasted on me. We fast passed ourselves onto a ride that “flew” us over California in an amazing display of projection and 4D entertainment. We flew over orange groves and smelled oranges, and over the ocean and smelled a dead whale- or that was the kid next to me. Either way it was magical. 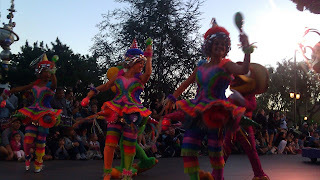 That night we got to see the parade again, only this time without breakdowns, as well as an extremely convincing Snow White. My backpack was full of Disneyland trinkets by this time, and we were all ready to drop where we stood, but we wanted one last show before we were done, so we made our way to the World of Color in California Adventures. It was a display of color and water like I’ve never seen, where they were able to build a sheet of water and project Disney films onto it, which once again brought tears to my eyes. During the Pirates of the Carribean scene they shot fireballs over the crowd, and I swear I lost an eyebrow in the process. On the way back, we stopped by Disney’s rave club called the House of Cards and listened to a band cover pop songs. I liked it because I’m a huge Alice in Wonderland fan and the DJ was a white rabbit with LED ears. The place felt like Wonderland after dropping acid. Our tickets for Disneyland included a “Magic morning”, which means we got into the park an hour early. This is cool in concept, but it means most of the rides and park itself was closed, so we didn’t have much to do. We did get to see the flag raising ceremony and check out Disney’s latest attraction, the Mideval fair, which featured a little air conditioned room where you could meet princesses. 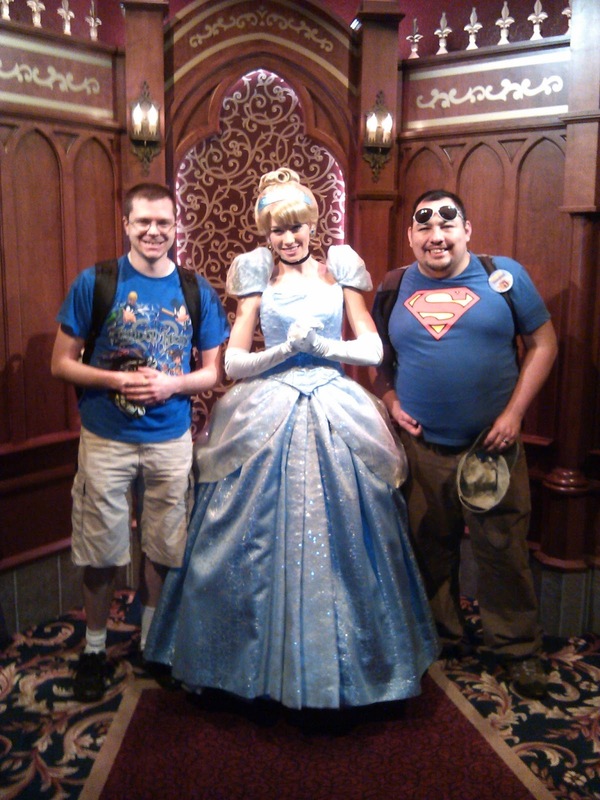 So Andrew Katie and I met Arial, Cinderella and Aurora. 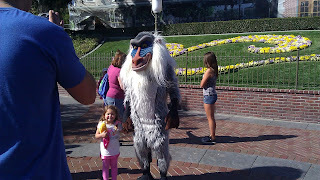 We spent the day much like the first: Going on rides and meeting characters. After a riverboat ride, Haunted Mansion, Pirates of the Caribbean, Buzz Lightyear’s Astro Blaster and Indiana Jones we found ourselves in line to visit Pixie Hollow, I having a niece in love with the modern interpretation of Tinkerbelle. The problem though was that the line was 45 minutes long and had little to no shade, so my fairer skinned traveling companions got a bit sun-fried before the end. When we finally got in to meet Miss Belle, we found that she wasn’t alone. Now I know I said that I’m a huge Disney fan, but forgive me for not being acquainted with Tink’s new circle of friends. Who did we meet? I honestly have no idea. All I know is that he was a boy fairy who really liked Katie’s shiny hat. Tinkerbelle was nice enough to not only give me her autograph and photo, but to let us videotape her saying hi to my niece Bella. As I said earlier, Katie and Andrew didn’t do too well in the sun, so they went somewhere to cool off while I checked out some sort of animal land with Winnie the Pooh. 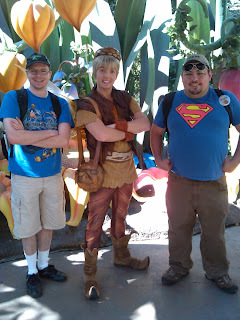 It was fun to explore Disneyland on my own, as I made my way back to Fantasyland and ran into Repunzel and Flynn Ryder, two more of my niece’s favorite characters. More pictures and another video later and I was ready to meet back up with companions. 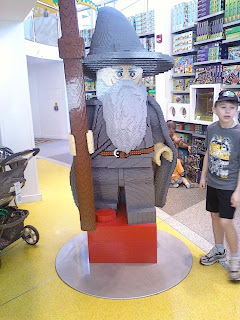 We decided to hit Downtown Disney to find dinner and the legendary Lego Store, a must-see for a Lego fan. 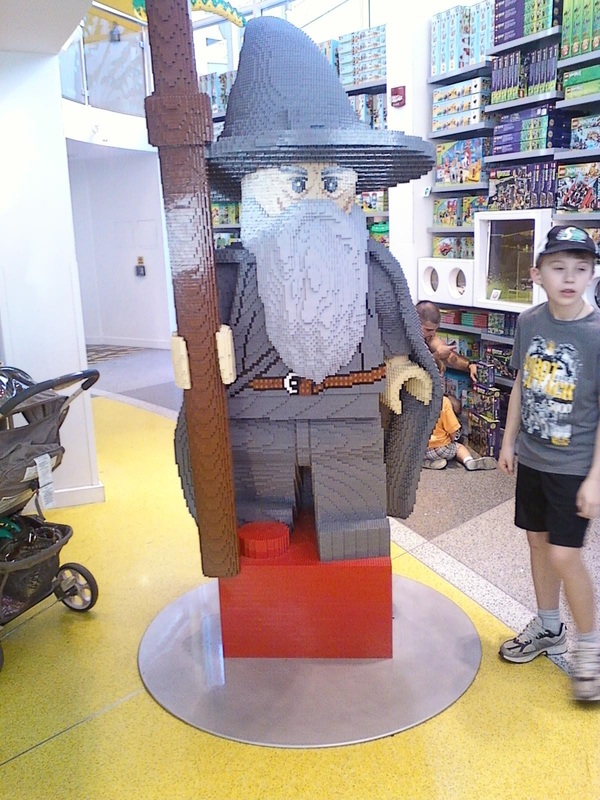 After a brisk exploration through the outdoor mall, we found a massive Lego model of Malificent, as well as giant Lego Buzz Lightyear and Woody and Belle and Beast. 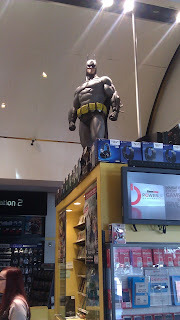 Inside was a paradise where I got to build my own minifigures and pick up a Lego Superman key ring. I was like a kid in a candy store, but with candy you probably don’t want to eat. 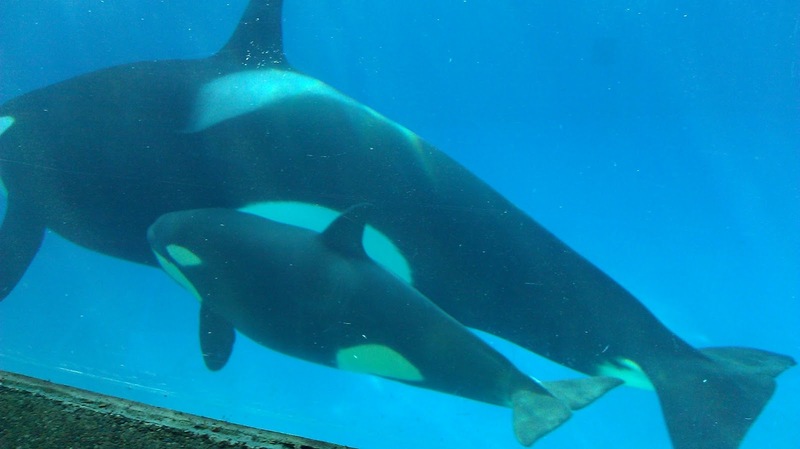 The next two days we hit the other parks on our tickets: Namely Universal Studios then Sea World. 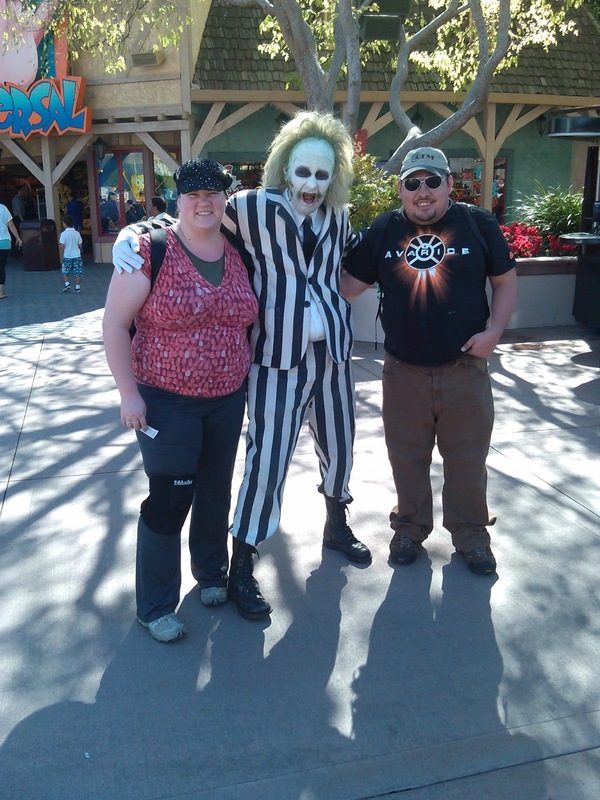 Overall: Universal was pretty cool and Sea World was kind of disappointing. 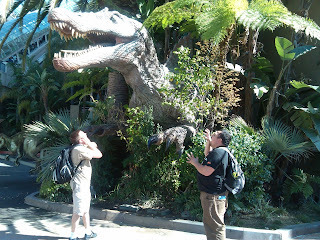 It may be that I’d been spoiled by two days at Disneyworld, but Universal Studios was fun but kind of disappointing. The high points included the Simpsons ride, which felt like we had been catapulted right into an episode of one of my favorite childhood cartoons, Jurassic Park ride, which had enough animatronic dinosaurs to make my inner child squee, and the Universal back lot tour, where we got to see the Mule from Serenity as well as the world’s biggest 3D screen and a murder at the Bates motel, all very exciting. The down side was the “big” prop museum, which for a studio that kept harping on how they’ve been making movies for 100 years, you’d think that the prop museum would be bigger than a 711. Day four brought us to Sea World, home of the giant fish monsters. I honestly thought we’d sit in an audience while some marine biologist taught me about whales and dolphins while they splashed around and did flips. What we got was something much… different. The killer whale show was whales jumping around while a video taught us about saving the oceans, the dolphin show was a 20 minute water ballet with about 2 or 3 minutes of dolphins, and the sea lion show… Well… I don’t think it’s a good sign when a 6 pound sea otter chases off a 400 pound sea lion and the trainer looks embarrassed. 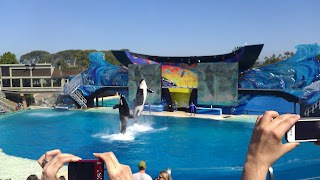 The highlights were when we actually got to see the animals without the useless trainers trying to “entertain” us. We saw penguins and a baby whale that was beyond cute. 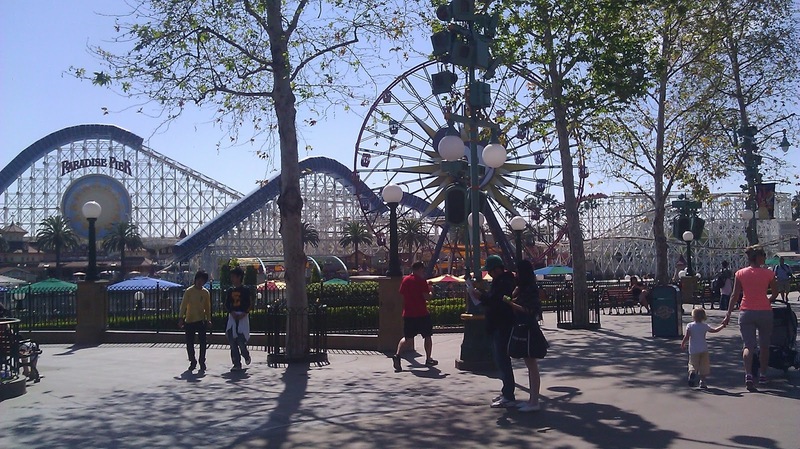 Wanna hear about the last day at Disneyland when we hit California Adventures? 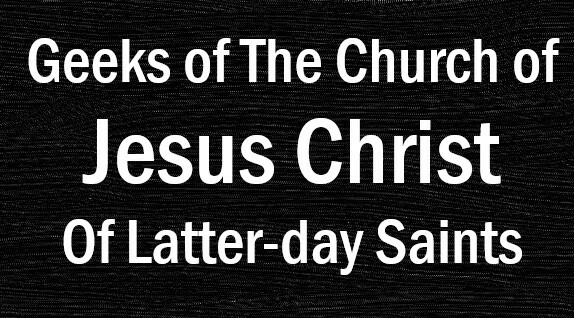 Check out Mormongeeks Monday for the thrilling conclusion! So day one and we walk over to Disneyland from our hotel, and as we enter I’m first struck by the beauty of the place. Remember, I’d just come from Utah where everything was either dead or frozen, so I’m wowed by the flowers and green grass, and delighted to see a marching band playing with the Mad Hatter and Alice. We hurry over to city hall where I can receive my coveted “First Visit” pin, and off we were in the park. I didn’t have time to keep enjoying the grandeur though, as Andrew was meeting a friend later so he wanted to get on a ride as quick as he could. 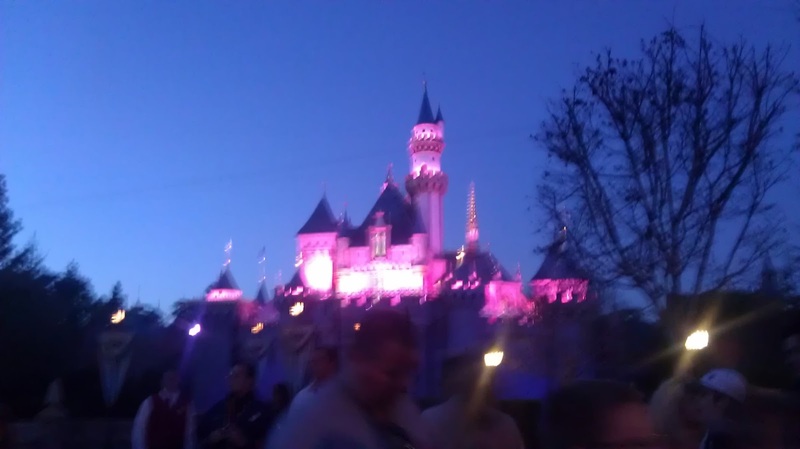 After a quick walkthrough Sleeping Beauty’s castle (Awesome effects when Malificent fights the prince BTW) we were standing in line for Star Tours. Now before this trip rides to me met Lagoon, a place I have a complicated relationship to say the least. On the one hand, they have an awesome lazy river and Rattlesnake Rapids, two things I insist on riding. On the other, they have everything else. I may be the oldest 27 year old in existence, but I honestly feel like most of the rides are repurposed interrogation devices. The last time I was there I had to pop my knee back into place after two different rides, due to it trying to calculate what the human threshold for pain is. 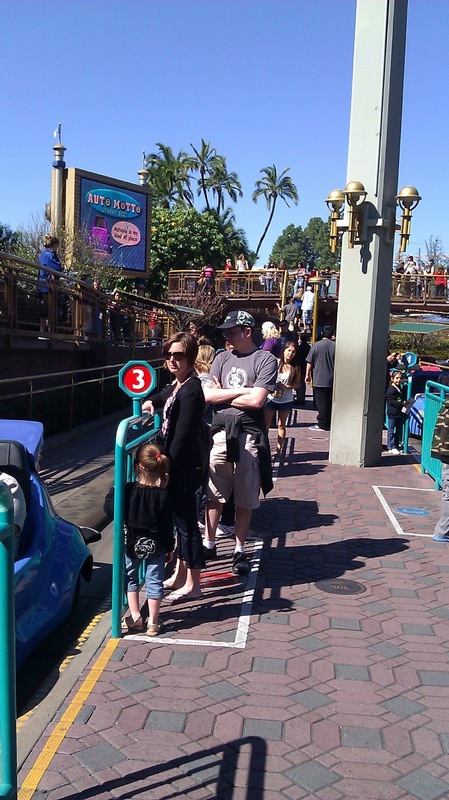 Needless to say, I wasn’t looking forward to rides at Disneyland. 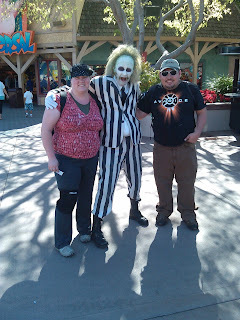 Turns out Star Tours, as well as all the other rides at the park I had the pleasure of riding, not only accommodated the larger gentlemen and his backpack, but also were less interested in G-force and more interested with telling stories and showcasing animatronics. I loved it! So with Andrew we did Star Tours (A ride featuring Star Wars characters and locales, perfect for a geek) then something involving life-sized AC cars before Katie and I were alone at Disneyland. I’m sure we were disgustingly cute to the other patrons, but like we cared. We were in Disneyland and in love, nothing could’ve been better. 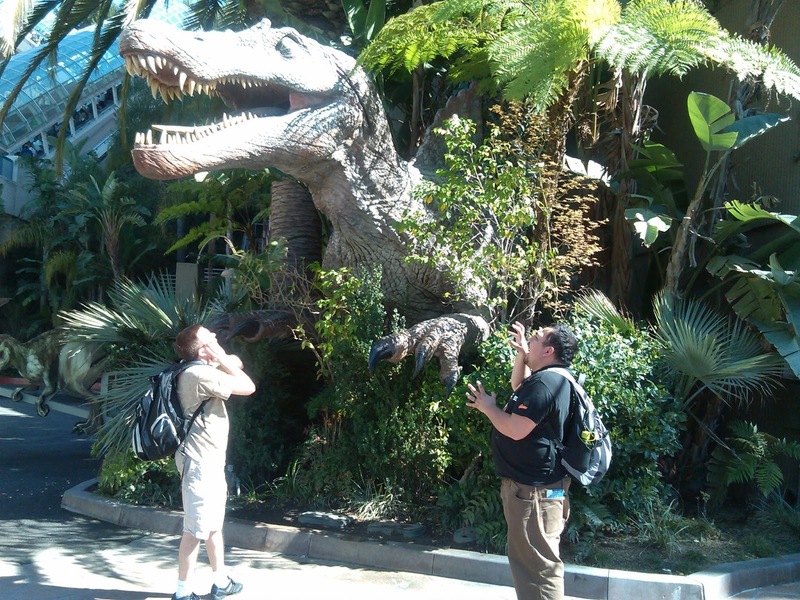 Throughout the day we ended up riding a giant sailboat, a Snow White ride, Small World (Afterwards Katie wanted to use a drill to get the song out of her head), and the train, that turns out has animatronic dinosaurs, much to my delight. 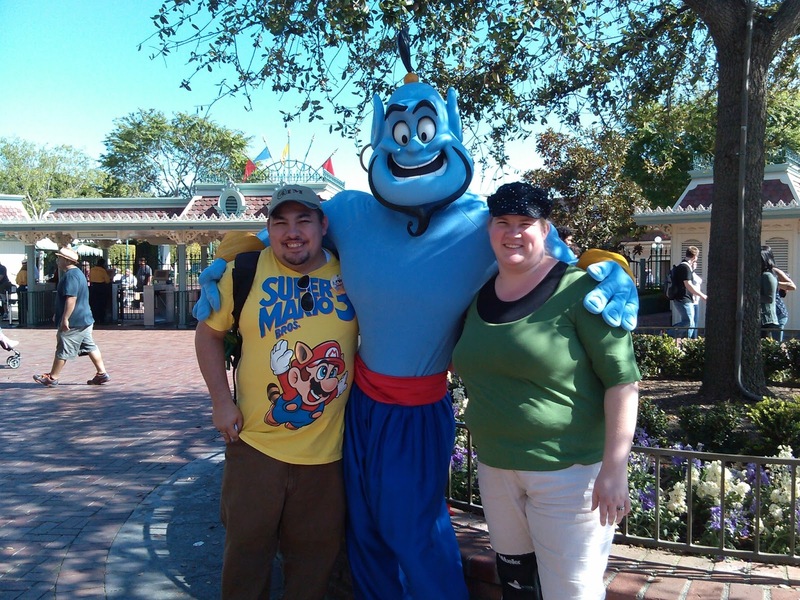 What Katie and I loved was that Disneyland wasn’t just rides. As we sat on a bench waiting for our feet to stop throbbing, we heard an announcement that a patriotic show was about to start no more than 20 feet from where we were sitting. Well of course we went and caught the show, which was a delightful medley of patriotic songs acapella style then saw a robotic Lincoln reciting some of the 16th president’s most memorable times. Back outside we caught the lowering of the flag, accompanied by the same band we heard earlier with Mad Hatter. It was stirring, though I was sad to see not as many people getting into it as Katie and I did. I felt blessed to be with someone who appreciates fine American traditions as much as I do. 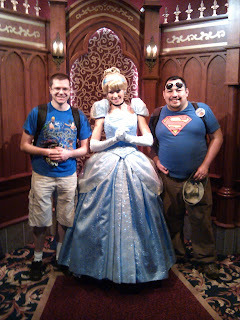 Peppered throughout the day I got to meet characters. I bought a Mickey Mouse autograph book and started to fill it with some of my favorite characters. First thing first though: I got to meet Mickey. The Mouse is located in his house in Toontown, through an air conditioned maze of Disney memorabilia and little animatronic shows. 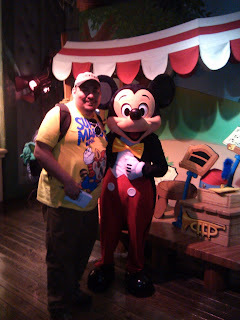 After about 45 minutes I finally fulfilled my dream, teary eyed, met Mickey Mouse and got his autograph. I consider it a highlight in my life so far. 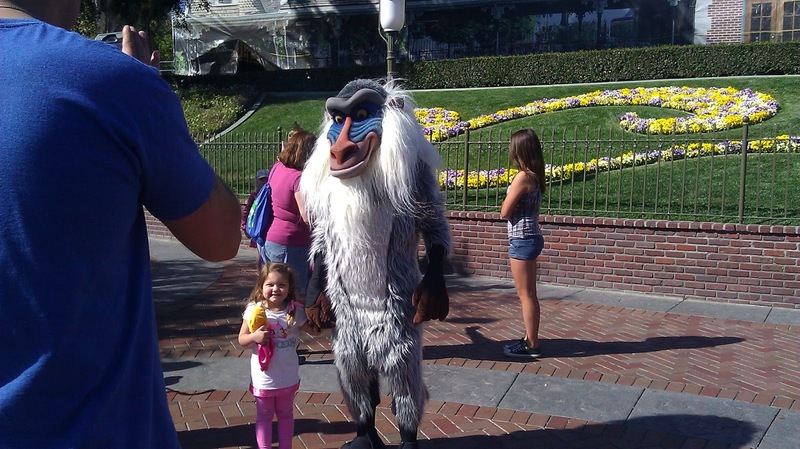 Included in my autograph book that day is Rafiki, Genie, Aurora and Cruella DeVille. 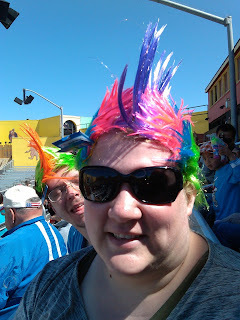 We of course had to hit the parade, which was pretty cool, even when the wheel fell off the Mary Poppins float. The parade was a celebration of Disney music, and every float had the crowd singing right along. We ended up seeing it again on our last day, just to see what it was like when everything worked, and it was so worth it. We ended up stopping at a cozy little restaurant in the New Orleans area and had delightful Southern style sandwiches. 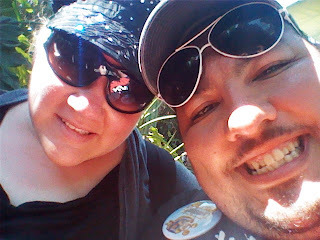 As we ate and gushed over the Tennessee Barbecue, a server walked up to us and gave us both “Citizen of Disneyland” pins. 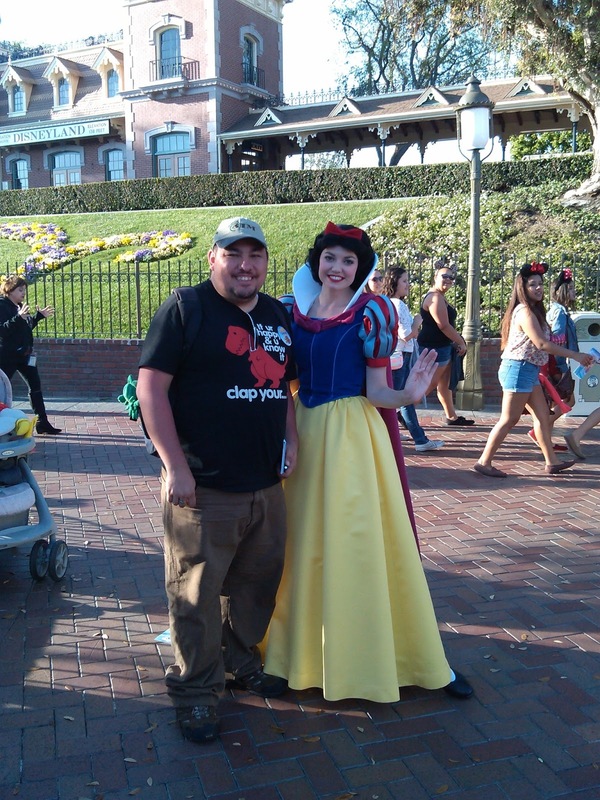 I was so proud of it I wore it every day I was in Disneyland. I know I’m kind of pathetic. Toontown wasn’t my last teary eyed experience at the Magic Kingdom. That night Katie and I saw the fireworks over the castle. Julie Andrews told us about how Disneyland has been the place of hope and wonder for kids of all ages. As I heard lines from the movies I grew up on and loved for years, remembering Pinocchio, Arial and Peter Pan brought my childhood in full view. By the time they were simulating Pirates of the Caribbean I was losing it. It was a wonderful evening, made only more special by the hand of the woman I love in my own. Okay so my first day was definitely an experience to remember, tears, rides and performances and all. Want to find out what happened the second day? Stay tuned! So in case you didn’t get from my five or six blogs about Disney or Disney related topics, I love Disney. I grew up on it. The first movie I ever saw in a theater was Little Mermaid. Since then I've been hooked. My iPod is full of Disney songs, from Cinderella’s So this is love to Tangled’s At last I see the light. I love every character, every hero, and every villain, almost to the point of obsession. 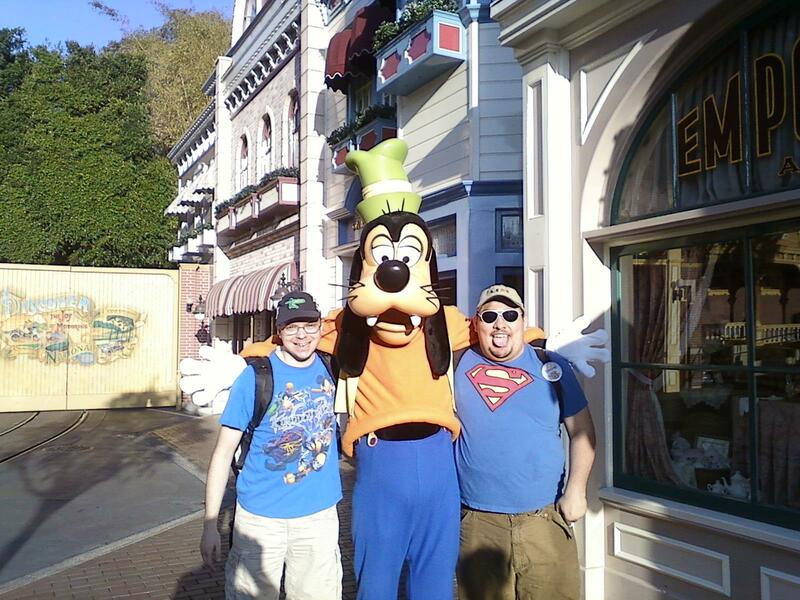 Surprisingly though, up until last week I had never been to a Disney theme park in my 27 years of life. 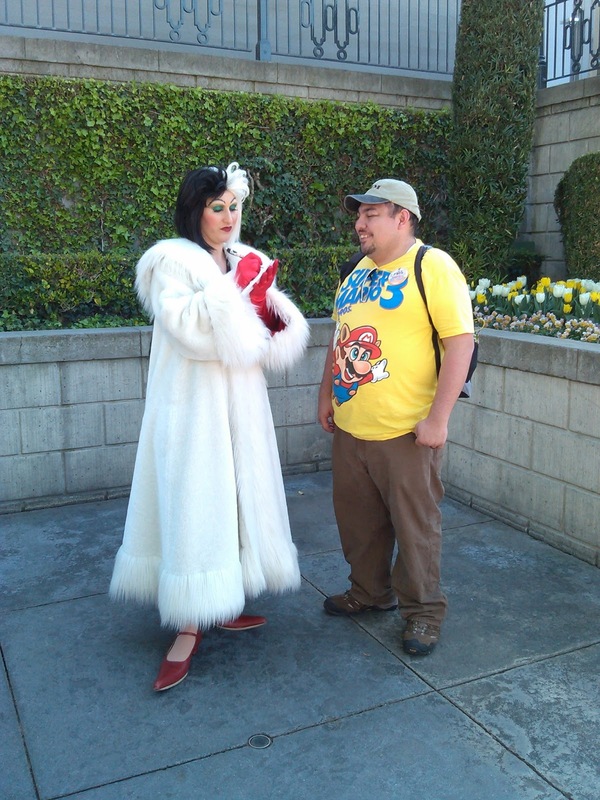 My beloved fiance Katie, saw this blemish on my life and decided to use a combined Christmas, birthday, anniversary and Valentine’s day gift and drag me down to Anaheim to meet the Mouse. So was it everything I’ve always dreamed about? Let me preface this further: Growing up we owned nearly all the Disney movies in one form or another, and I would watch them religiously. I clearly remember at the beginning of every VHS tape a commercial for Disneyland, where despite the story it always ended with some little kid running up to give Mickey Mouse a hug in front of that castle, and the kid always looked so happy to be hugged by the world’s most recognizable mascot. This is what I grew up with. Now my family, bless them, was not rich. No matter what packages or deals Disney would offer, a trip to California or Florida was just not in the cards. So I always had the idea that Disneyland was always just going to be too expensive, and that I had more important things to worry about, like food and rent, then to think about the Happiest Place on Earth. Katie loves to travel, she’s been to nearly every continent, and frequently makes trips to Portland and Denver to visit friends. 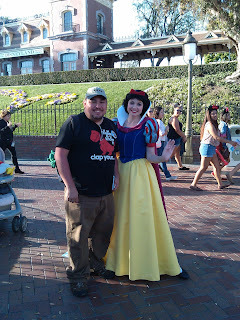 She got us tickets and figured out how to make a trip to Disneyland affordable, all without batting an eye. It’s very rare to find someone who will help make you dreams come true, even dreams of princesses and castles from childhood. So there I was, last Sunday morning, up at 5 AM with Katie and fellow Mormongeek Andrew, starting our trip to Disneyland. 12 hours, most of a murder mystery novel and a pile of Mad Libs later and we were pulling up to our Super 8 about two blocks from Disneyland’s front gates. The first thing I noticed, after coming from Utah’s current frigid wasteland, was how green and bright everything was. I’m sure my companions thought I was insane for just running around soaking in the sun, but it felt great. The second thing I noticed was that from our hotel we could see the back of what we came to find out was Cars Land. It reminded me of that scene from Who Framed Roger Rabbit where they can see Toon Town from a distance, with wacky things flying through the sky. It was exciting to see that the place I had dreamed about was so close I could almost touch it. I’m probably going to catch a lot of flak for this, but that’s okay I’m used to it. There are just some shows I’m sick of seeing, hearing about, or being told that I “have to see”. Here is what’s sitting at the top of my list. And for the record, I really did try to get into these shows, but honestly I either can’t do it anymore or I never could like them. 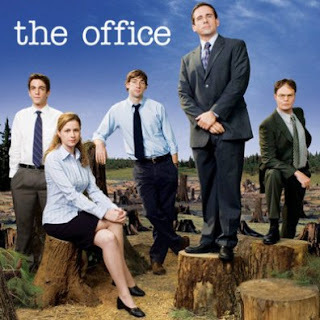 All this show does is take the one joke from the film Office Space and stretch it out into 8 seasons. Yes, I know that offices can be quirky, but come on 8 seasons? How long is this documentary supposed to be? It’s as bad as that endless bedtime story How I Met Your Mother keeps telling. The camera angle thing and the breaking the fourth wall are cute, but at one point it just gets old. This show even did the whole Ross and Rachel/JD and Elliot/Bones and Booth thing nearly every other TV show ever has done. They even had a baby and this show is still going! What is the appeal? Seth, I love you. Stewie is one of my favorite characters. I loved him both as the world dictator and as the effeminate baby, but do we really need three cartoons about middle-class working families? 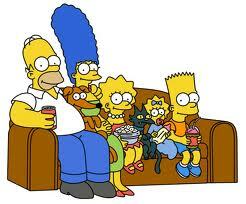 In fact, do we really need three ultra-liberal anti-religious cartoons about middle-class families? Say what you want about South Park, at least their statements are varied and happily attack anyone they can find equally. 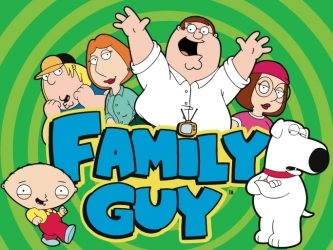 Family Guy especially, since I fear if it’s not happening now it’ll end up being like the Simpsons in the very near future, just stagnant and not having much going for it. And no more clones of Family Guy. When it first came out everyone called it a Simpson’s clone, but now you’re kind of proving them right. At least when Groening was green lighted for another project; he set it 1000 years in the future and made half the cast aliens and robots. This is probably what I’m going to catch the most flak for. Everyone tells me I should love this show, but frankly I despise it. Its 2012 now, walk into any Elders quorum in the US and ask who Doomsday is and you’ll find someone who can tell you about the death of Superman, and for that matter, nearly any occupation in America. 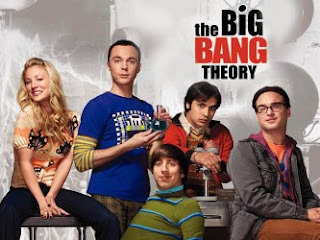 This isn’t Revenge of the Nerds people, not all geeks are scientists and socially awkward around women. I’m not even sure who the audience for this thing is supposed to be, since it makes fun of geeks for being geeks but then makes jokes and references only geeks would get. Who are you trying to alienate exactly? Is this show really still on the air? 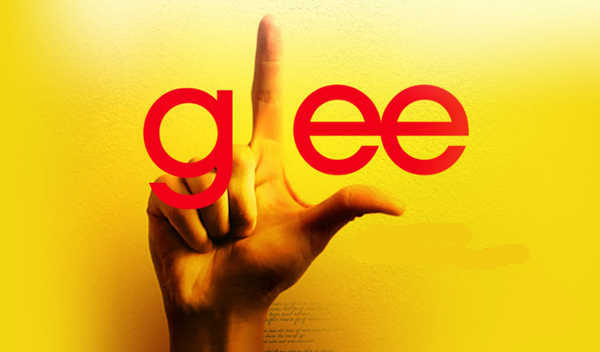 I feel like whenever I watch Glee that I’m just tuning through different channels seeing what’s on. One minute they’re having kooky conversations, the next it’s a big musical number, and then some serious moment, and then an overdramatic romance scene, and then another musical number. Pick a tone, people! I admit I like a lot of the songs; I’m always a sucker for a good remix or cover. It’s the context I don’t like. And the fact that the entire series is this massive convoluted drama on top of that, featuring a dozen characters doesn’t help. You practically need a flow chart and a score card just to sit through this thing. Okay start sending the complaints. Tell ya all about it next week. So I apologize for my absence on Mormon Geeks recently. I personally have been dealing with a psychotic amount of homework as well as the fact that I recently got engaged. Nothing special. We pretty much just decided. My fiancée Katie and I have been best friends for almost a decade, and we’ve been dating for about three years. It just felt right. We’re both getting ready to graduate soon, and Katie has a pretty awesome but busy job so we’re giving ourselves space so we don’t go nuts. Now I know the last question you’re all asking: Who was able to snag a confirmed bachelor like me? Well let’s talk about Katie. 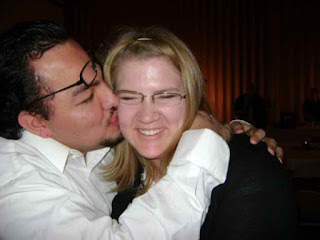 I met Katie in a Walmart parking lot about ten years ago. The first time I saw her I had the feeling of “where have you been all my life?”, but not in the romantic way, more “where have you been? I’ve been waiting for you, you dingbat!” and she felt the same way. Over the next several weeks we became best friends, and I started to fall in love. They say opposites attract, and in Katie and I’s relationship it’s certainly true. Katie is an analytical, logical accounting major at Weber State. Before we started dating her geekiness included some tasteful Anime (She showed me Howe’s Moving Castle) and she was into casual gaming. Now she can (grudgingly) name about a couple dozen super heroes, watches Star Trek, and helped me found my World of Warcraft guild. Not that much of that is really important. The important stuff is that Katie is the kind of person that would go out of her way to help anyone who needed help, and will do everything she can to see the good in people. Katie can make me laugh when I’m at my lowest, without even saying anything. Last year for Valentine ’s Day she gave me a Lego Death Star. The girl knows me.